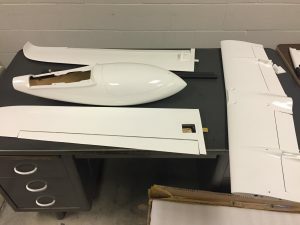 With a lack of open source options for hobbyists, students, and researchers, the goal of the OpenUAS team is to develop an affordable, commercial-off-the-shelf (COTS) aircraft, including software and electronics. Consisting of a team of seven undergraduates, the team has spent this semester studying existing work on commercially-available UAS, as well as developing a set of specific requirements for our goal aircraft. Looking forward to next semester, we hope to finish designing and building a functional prototype, for release before the summer. As one of the flight software specialists, I have studied options for both flight computer hardware and flight software. Applying my previous research in requirements engineering for aerospace safety-critical systems, as well as my newfound interest in formal methods, I hope to adapt an existing open source software option to be safe, reliable, and easy-to-use for the general public. Though I will be traveling next semester for study abroad, I will be remotely contributing to the project, so that we can meet our target release.